Sky Vegas is heading to the stars with its latest casino slot release. The new game “Against All Odds” is a fun-packed Star Trek themed adventure which boldly goes where no slot has gone before. Sky Vegas is heading to the stars with its latest casino slot release. The game is packed with narrative and built on a strong story line which makes the game play truly gripping. Players will find themselves on a mission to stop the Romulan ship, Narada, from destroying planet Earth. The star ship Enterprise follows the Narada and Spock and Kirk secretly beam aboard it to steal a black hole creation device, the device is finally found inside the Jellyfish – a captured Vulcan ship. While playing the game players will have to shoot incoming missile, achieve higher skill-based ranks and win more bonuses along the way. 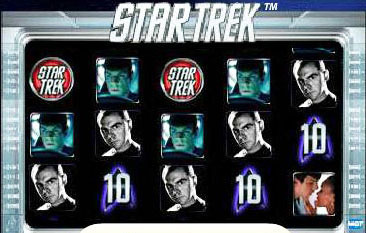 The game is the second Star Trek branded slot and it features the ‘Mutliway Xtra’ awards. This means that players will be rewarded for the same symbol in any position on adjacent reels, they will also be paid in both directions. The game has a further 2 bonuses, energising wilds can be randomly triggered and award 2 to 5 extra wilds. 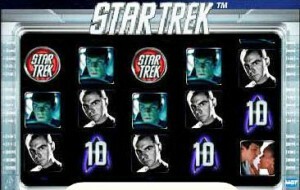 There is also an Enterprise Defender Bonus game.